Today comes another release by Nightfire. While last time he had brought us a PSN Enabler for KMEAW CFW this version is specifically made for Rebug FW. Check out the excerpt and download below. As promised a couple days ago, here is a PSN enabler for Rebug FW. I found the best and safest way to do this was not to create separate packages like for the Kmeaw version, but to modify the 'Rebug 0.7 Update Package' then use Rebug's own CEX/DEX Selector. You must already be using Rebug FW 3.55.2 to use this. If you have already installed Rebug's Official Update 0.7 before, you can still install this. Before you install this package, make sure you are in 'normal' mode (3.55). If you are already spoofed to 4.11 (rebug mode), use Rebug's CEX/DEX selector to change back to 3.55. Do this by pressing 'L1 + Cross(X)' within the selector. Status should say 'Normal Mode'. Exit selector and check system FW is 3.55. 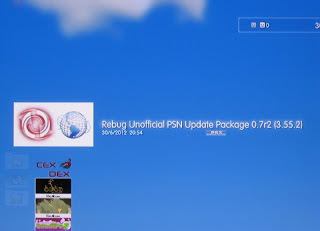 Now install the 'Rebug_PSN_UPDATE_0.7r2_3.55.2.pkg' from the link below. If you get the message 'same version already installed, continue' select 'YES'. 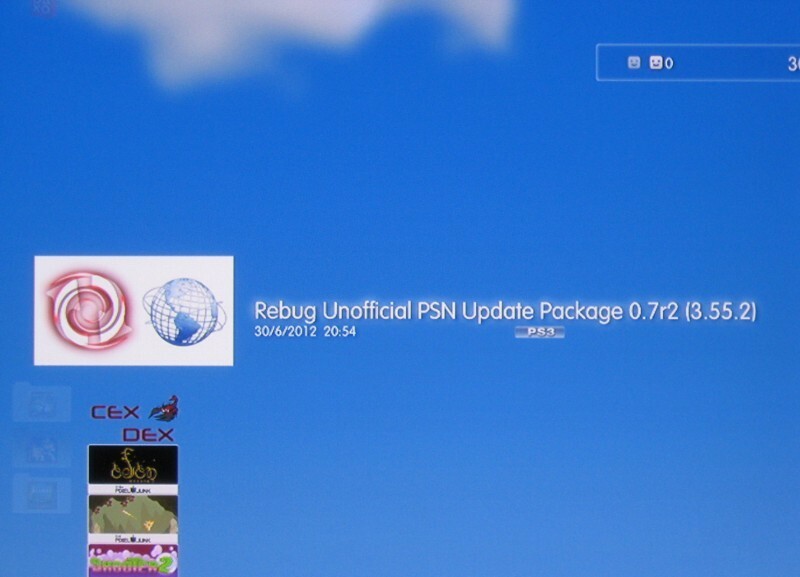 Now run 'Rebug Unofficial PSN Update Package 0.7r2 (3.55.2)' from XMB. Select 'YES'. You will get message 'Update Complete - System Will Reboot'. After reboot, go back into Rebug's CEX/DEX selector. Press 'L1 + Circle(O)' to activate Rebug mode. Press 'PS' button and exit the selector. System will reboot. Now check in system settings/info that your firmware version says 'version 4.20'. If it does, you have done the above procedure correctly and you can now log in to PSN.